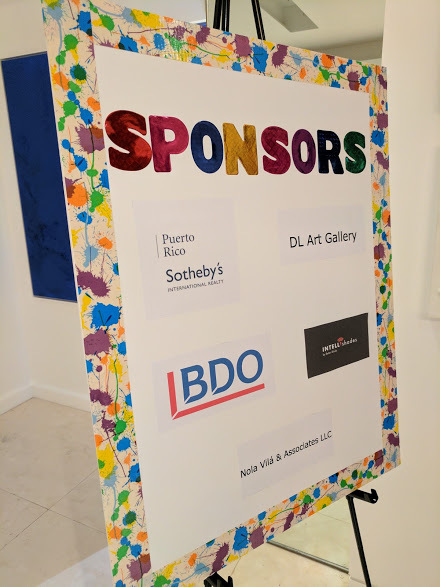 Last night, Thursday, October 20, 2016, DL Art Gallery hosted a charity event to raise funds for Art2Go, a non-profit organization started by two S St. John’s School Juniors in order to bring art to pediatric hospital patients across Puerto Rico. As part of the fund raising efforts, Art2Go organized a raffle for an oil painting created collaboratively by art students from St. John’s, while DL Art Gallery donated 10% of the proceedings from all gallery sales during the event. There was also music performances during the evening by three very talented St. John’s students: a violin soloist and a voice and guitar duet. Beauty, generosity and solidarity is also what art is all about. We want to take this opportunity to thank all of the people who came to the activity and to congratulate Art2Go for the wonderful work they do..